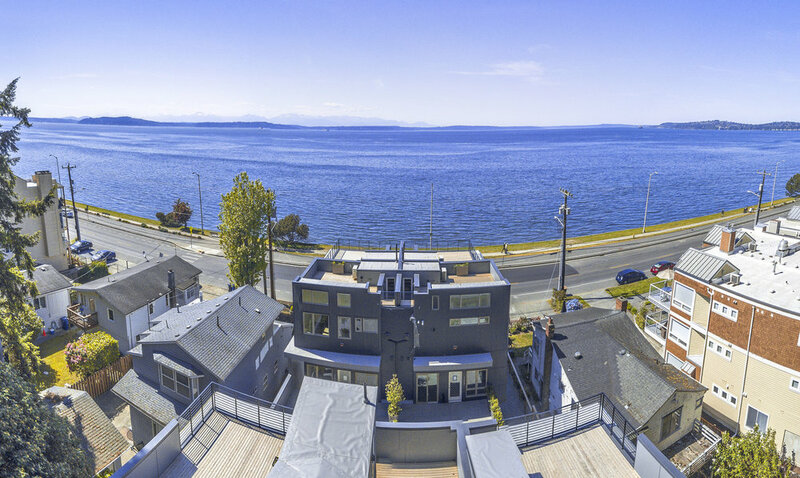 Alki Seven is a collection of seven townhomes located across the shores of Puget Sound on renowned Alki Beach and less than a half-mile walk to shopping, dining, and entertainment of Alki's beachfront core. 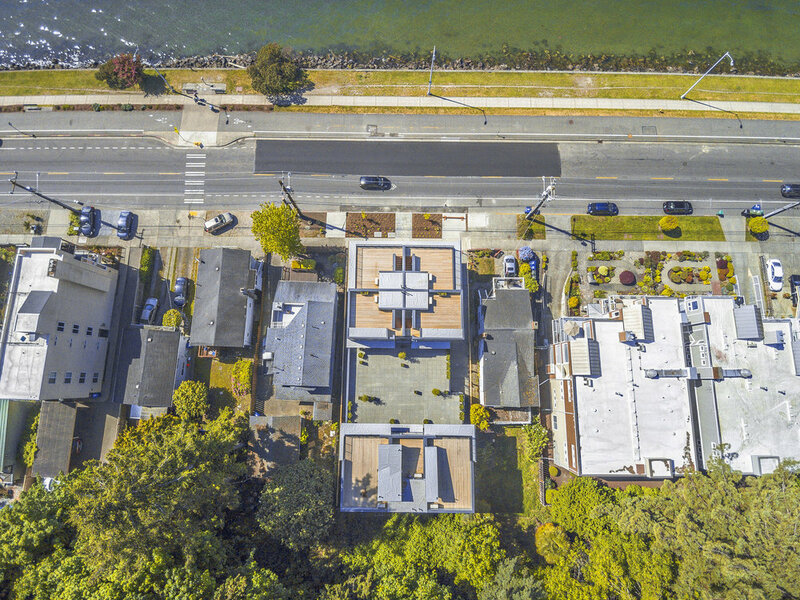 Located just minutes from downtown Seattle, I-5, and the rapidly growing core of West Seattle, these homes are well positioned to get just about anywhere you need to go. Each of these contemporary homes will feature stainless appliances, wood floors, open iron hand rails, large energy-efficient windows, air conditioning, dedicated parking space, and spacious rooftop decks with unobstructed views of the Olympic Mountains, Puget Sound, and the ferries transporting people between Seattle and the islands. Homes range in size from 900 square feet to 1550 square feet. Just outside the front door is the 5.5 mile Alki Trail, perfect for running, biking, rollerblading and more. Step out onto the rooftop decks and watch the beach volleyball tournaments, long sunsets, and fishing boats dot the Sound. It's hard to find a better view in Seattle.